My first book, Contesting Intersex: The Dubious Diagnosis, was published in 2015 by NYU Press -- reviews of which follow below. I'm once again working with NYU Press on my second book tentatively titled #INTERSEXYFAT: In Pursuit of the Ideal Body. 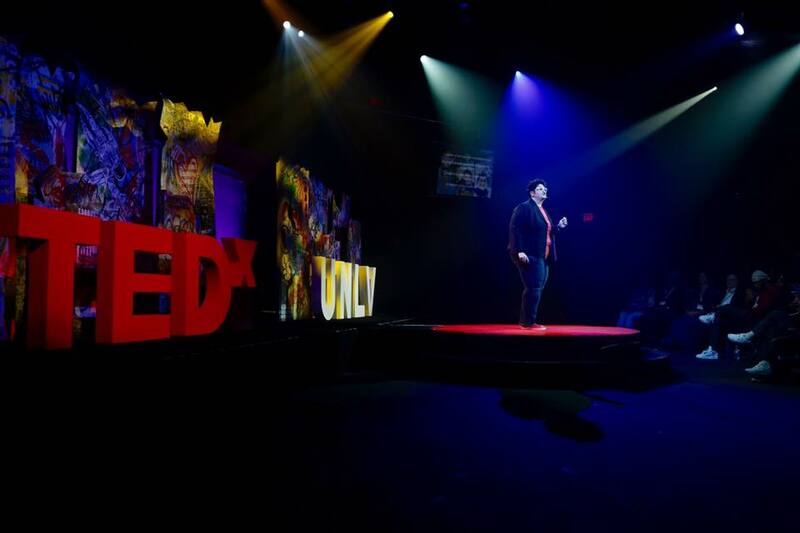 TEDx talk titled "This Girl Has Balls"
"Contesting Intersex is an essential update to studies of the intersex and a must-read for those interested in social movements, gender, medicalization, diagnosis, and the relationship between science and culture." -- Joanna Kempner, Rutgers University, in the September 2016 issue of the American Journal of Sociology. 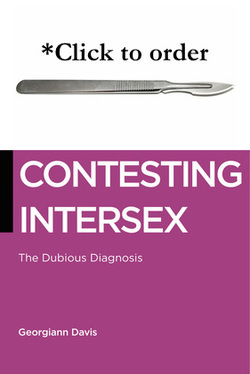 "A particularly insightful discussion on the accessibility of biological citizenship for different intersex individuals whilst illustrating the power of diagnostic labels. . . . [a] very readable text." ​ -- Charlotte Jones, University of Sheffield in Sociology of Health & Illness. "Evenhanded and passionate, this book will inspire and inform the wide readership it deserves.” -- L. D. Brush, University of Pittsburgh, in the January 2016 issue of CHOICE. "Davis deftly walks the tightrope between observer and activist, maintaining an appropriate level of analytic distance while holding tightly to her commitment to social justice for those who do not fit neatly within the gender binary." -- Danielle Docka-Filipek in Contemporary Sociology. ​"Ultimately, this book is an important read for gender and sexuality scholars, as well as medical sociologists. Davis deftly challenges binary categories and the power of medical diagnoses. Her writing is engaging and, at times, personal—she shares her own experience as an intersex person, describing intimate conversations with her parents, problematic medical episodes, and her activist-academic desires." -- Amanda Kennedy, Founding Editor Masculinities 101. "Contesting Intersex is lucidly written and well worth reading to learn about intersex or to expand your knowledge. It would make an excellent addition to a course on sociology of the body." -- Judith Lorber, Graduate Center and Brooklyn College, City University of New York, in Gender & Society. "Davis has fully mastered the relevant medical, sociological, and feminist cultural studies literature on intersex." -- Robert A. Nye in the Journal of the History of Sexuality. connection with her prose both academically and personally." -- Catherine A. Ratliff in American Book Review. "[Contesting Intersex] also stands on its own, presenting a clear and exceptional introduction for anyone interested in gaining knowledge of the struggles faced by the intersex community." -- Jason Silva in New Genetics and Society. "Davis’s work is powerful, as it covers heated and sensitive topics in an insightful, and occasionally humorous, way." -- Hanna Baus, Humboldt State University in Humboldt Journal of Social Relations. "Georgiann Davis has produced a very carefully researched book, written at the right time." -- Cecile Ann Lawrence in Gender, Place & Culture: A Journal of Feminist Geography. 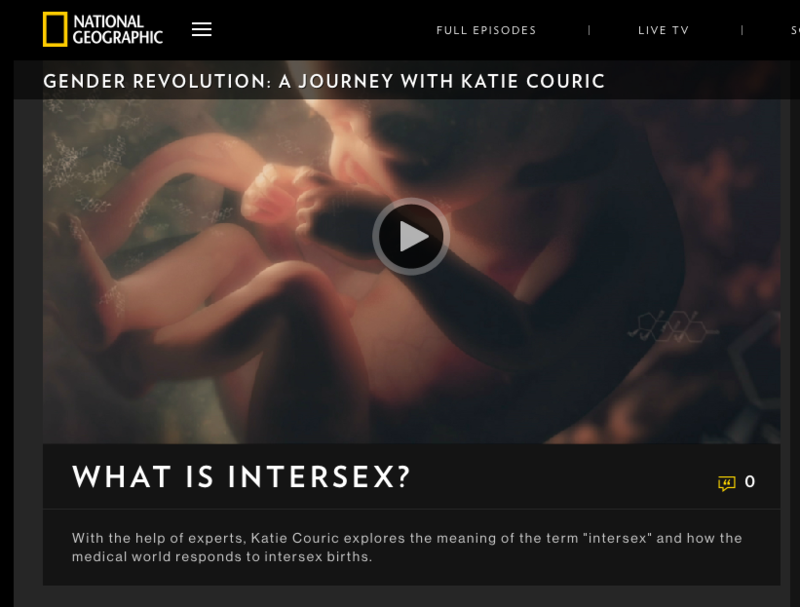 "Intersex people studying intersex topics!! . . . an all-round solid book." -- Bogi Takács in Bogi Reads the World.